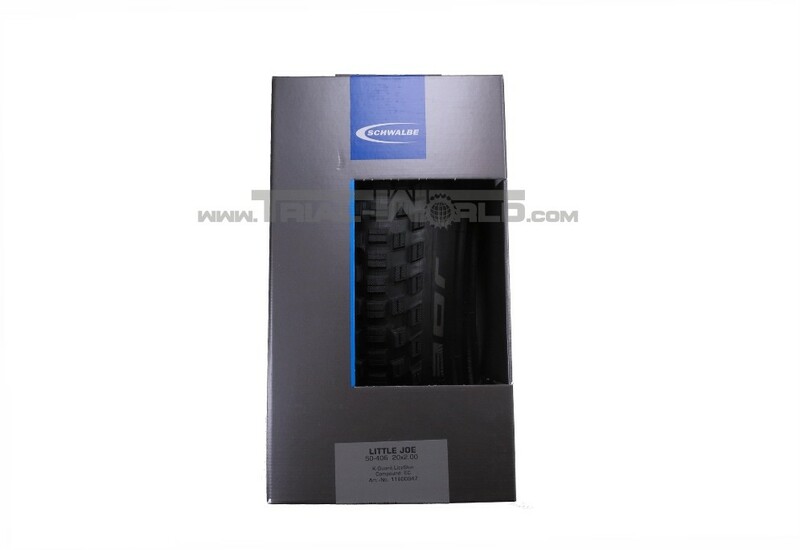 This is a very lightweight tyre which fits ideal in the front. 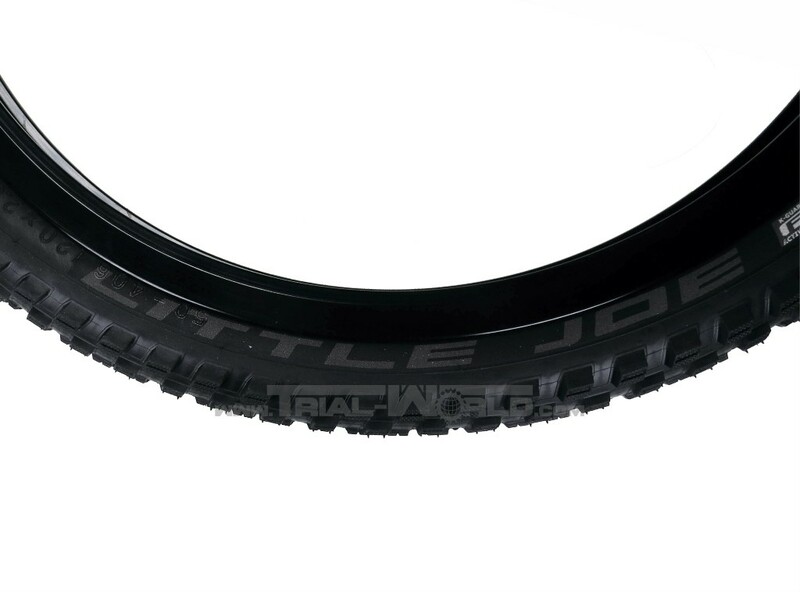 The little Joe is the successor of the also in trials popular and finished Mow Joe tyre. 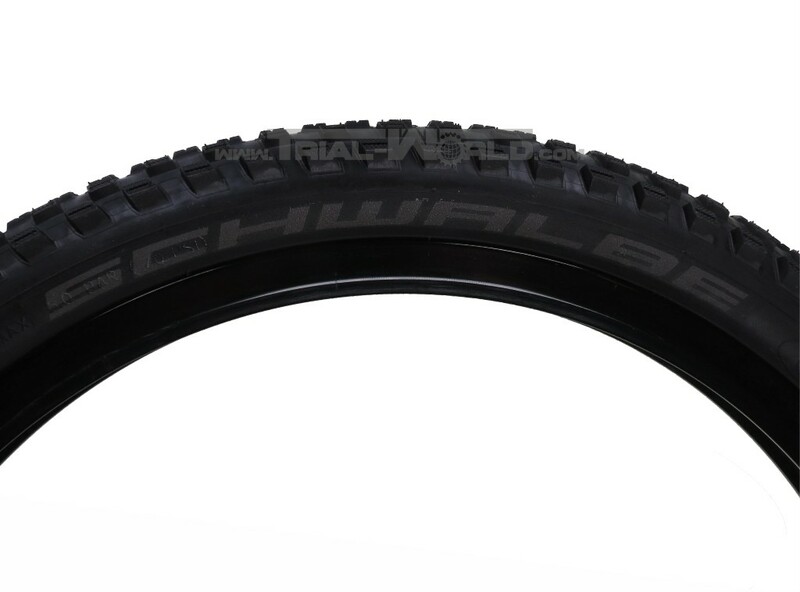 This tyre is equiped with the same tread in addition with the Schwalbe K-Guard protection. 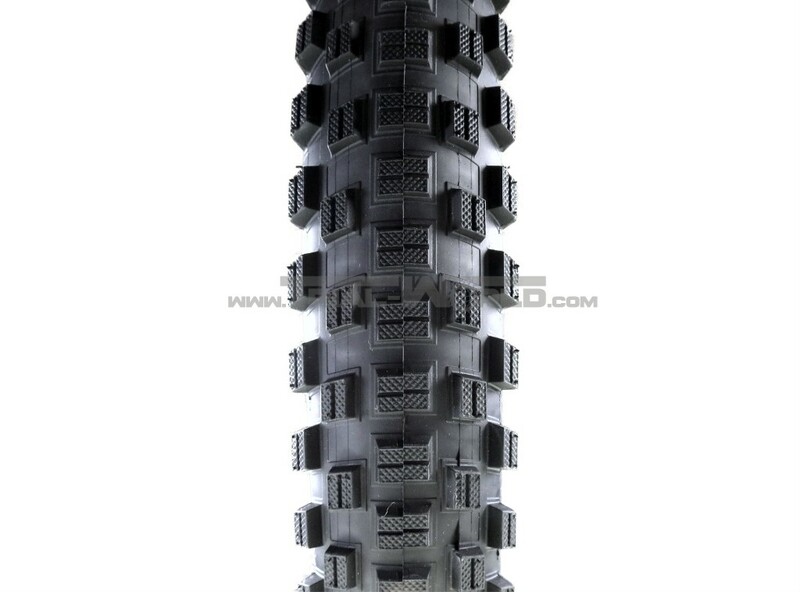 This is a natuarl rubber core which is enhanced with kevlar fibres. 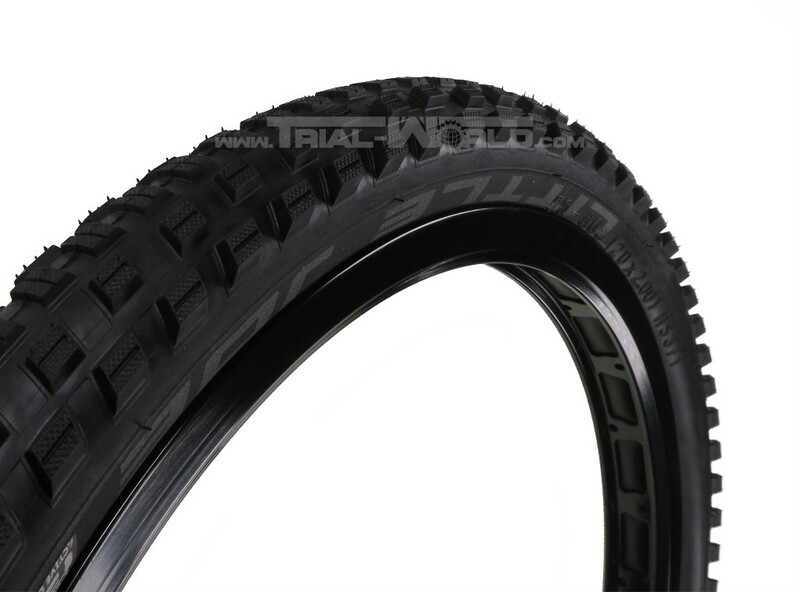 Together with the 50 EPI carcasses (ends per inch) is this tyre very puncture proof.